Straight Outta Compton is many different things: part-biopic, part-homage, part-buddy movie, part-period piece, part-Hollywood blockbuster. 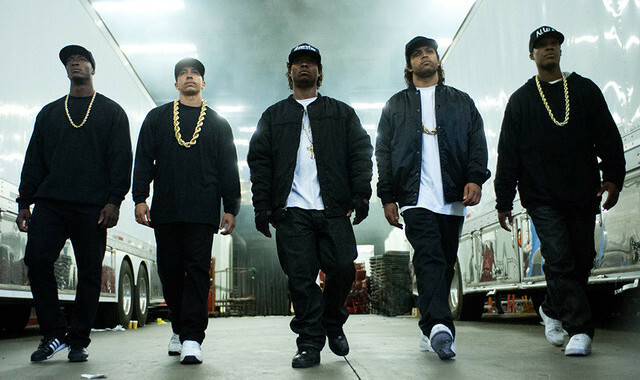 And if you can excuse its flaws, it’s a highly entertaining and, in its own way, important film that’s acutely aware of NWA’s contribution to hip-hop and, in a broader sense, race relations and free speech in America. Work began on the film in 2009, but it arrives exactly 50 years since the race riots in Watts, just north of Compton, and also at a time of renewed tensions between the police and African Americans.